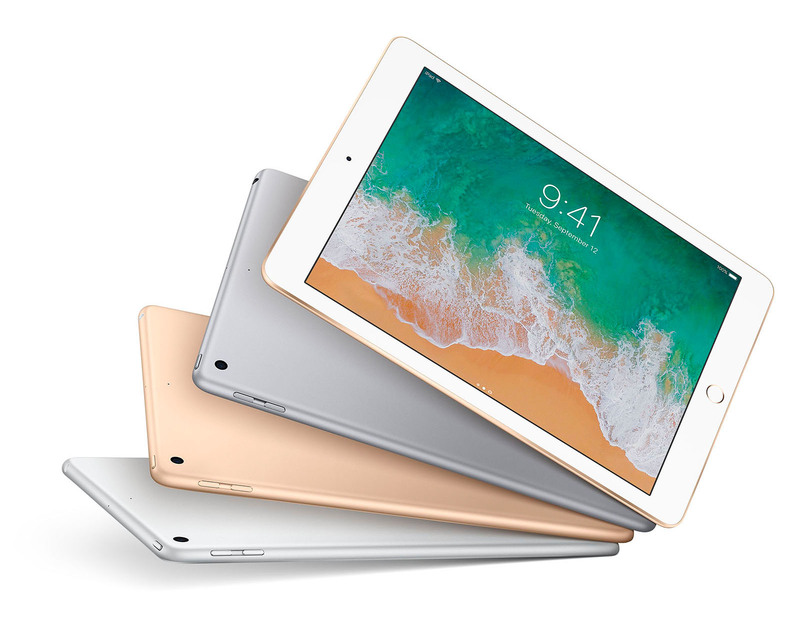 Announced on March 21, 2017, Apple's 9.7-inch iPad features a 64-bit A9 chip and 9.7-inch Retina display with 2048 x 1536 resolution. Dubbed simply the iPad, the tablets come in three finishes: Silver, Space Gray, and Gold. Shoppers can also select between 802.11ac Wi-Fi Only or Wi-Fi + Cellular capability with 32GB or 128GB of storage. Weighing in at just one pound and 7.5 mm thin, the new 2017 iPads also run iOS 10 with battery life of up to 10 hours. The devices also include front and back cameras, including an 8-megapixel camera to capture images or 1080p HD video, as well as a front-facing FaceTime HD camera for video calls and selfies. Prices for the new 9.7-inch iPads start at $329 (US) for the 32GB with Wi-Fi model and $459 (US) for the 32GB Wi-Fi + Cellular model. Users looking for more robust features, such as Apple Pencil support, can still opt for the 9.7" iPad Pro.